The General Education Development (GED) credential, also known as the General Education Diploma, General Equivalency Diploma, Graduate Equivalency Degree, and General Education Diploma, is ideal for both high-school dropouts and adults who have never completed or earned a high-school diploma and have decided the GED would fulfill personal needs – like meet requirements for admission to colleges or other schools. Other benefits of getting the GED are: to help one’s career and self-satisfaction. The GED is considered equivalent to a high-school diploma (or does it?). Equivalent or not, the GED is a state-issued high-school diploma, a certificate which is only awarded upon successful completion and passing of the GED exams (more about the exams will follow in another paragraph). Also note that the GED has provided millions of people the opportunity to further their education or help with employment. It is well-regarded by both colleges and employers. To obtain the GED and pass it, a candidate should prepare. One should consider available online GED courses (one of those from the next paragraph) to help learn the subjects on the GED exam (see the paragraph on exam information for details). According to DANTES, the GED exams require some preparation because one-third of candidates don’t pass the tests under current score requirements. Those that have taken the GED exam say it was neither easy nor too difficult, but for those that are not good test-takers or lack basic high-school knowledge, preparation is the only way to passing the exam. The exam is long–seven and one-half hours in length–and to get through it without struggling, a candidate must be prepared. Don’t wait to study weeks before the GED exam, start studying for the exam as early as possible as it may take time to learn the exam material. Listed next are the Top 5 GED Preparation Courses & Classes Online. Universal Class. This is an ideal place that offers an online GED course. Course Name: GED Preparation. The course is designed to prepare people to take the GED exam as there are lessons covering all five sections of the test. Course fee: $129. The GED Academy. Here, a candidate can study online with a GED teacher and mentor. It offers a great GED Prep Program, which consists of practice tests and study guide. The price: $189. It’s possible to pay in installments. Sylvan Online. This is suitable for individuals seeking live, online tutoring in a range of subjects. In addition to tutoring by subjects, there is also tutoring by grade levels. Note: The price is based on the total cost of the student’s tutoring program. Excel High School (EHS). Those looking for online GED testing resources can find it here. 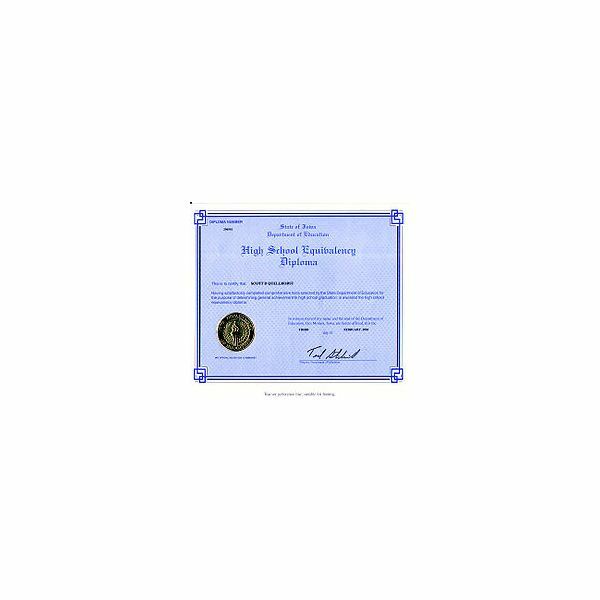 As well, EHS offers an online HSED (High School Equivalency Diploma). The cost of the program is $ 299.00 plus S&H. GEDforFree. Here is a completely free GED online preparation course. This is a place which offers practice tests that can help people pass their GED exams. The only requirement to be able to have access to the available online GED class, study guide, and pre-test is to fill out a brief enrollment form. Alternately, there is always the idea to obtain a GED prep book from the local library or buy one to prepare for the GED exams. The General Education Development (GED) is an exam that measures basic skills and knowledge of what is learned in high school. It consists of five sections: math, reading, writing, social studies, and science. The exam cannot be taken online. The candidate must go to an official testing center. According to American Council on Education (ACE), there are more than 3,400 testing centers worldwide. Also, for accurate and reliable information about the GED testing program, the ACE Web site (as shown under useful links) is a great place to start. As well, to become familiar with the exam, such as how many questions and what type of questions are asked, allotted times, passing scores, and value, you can visit UnderGradZone.com. Again, preparing for the GED exam can help pass it. There are many online GED courses to prepare individuals wanting to take the GED exam (as previously mentioned). To pass the GED exam, one must score over 60% on each of the tests; which means, not having a score below 410 on individual tests. Furthermore, the candidate must have an overall average score of 450 for the five-test battery. Note: Passing the GED tests means that a person has demonstrated academic abilities that are equivalent to those of high school graduates.